Enthralling Ventures!!! | Addicted to Travel, Passionate to write,Crazy to connect & love to be Mommy! Just after attaining Motherhood, there were numerous changes physically and mentally, which actually took a lot of time to get back on their normal pace. Indeed mood swings was one, but I had a severe hair fall and thinning postpartum and it took close to 2 years for me to stop that spree. But by then I had lost all the sheen and I started looking for alternative modes to enhance my personality quotient. With so many functions, corporate get together’s, I desperately needed those beautiful braids, some free styles. And this landed me to something very close to natural – crochet braids with human hair for my bad hair days or even when I wanted to up my personality quotient. The best part of the braids are that they don’t seek for much maintenance, they vary and give you the style you wish to. There are numerous styles that you can create , along with having some amazing colours to match your outfits. Be it for a special presentation in office with coffee coloured braids or some fun with my favourite pink during vacations or that blonde look for that bridesmaid party, Divatress, a leading ecommerce portal. 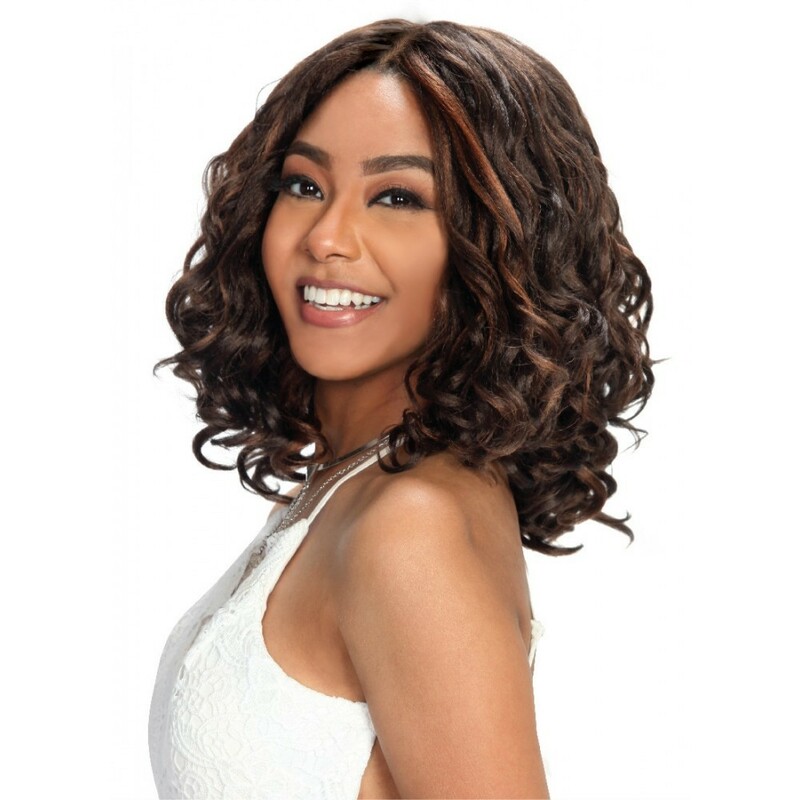 offering amazing wigs, braids, hair care items, has great options and styles. They also have some unique braids to help you style for African braid, braid bun, criss-crossed cornrows and much more. Initially, I was not a braider, so crochet braids were a natural choice. Having numerous options from Wavy Faux Locs to Water Waves, they seems to be an instant hit. The skill one needs here is proper installation, so that no one can even know that you’re wearing braids. They are very close to your natural hair and hence you have the added advantage. Many crochet braids are coming up with pre-looped holes to bring across numerous more styles for the end users like us. To me, Divatress has been a great support to help me set in that unique look, well loved by everyone and helping me come close to the natural look. It has matched my personality and brought me more confidence . So, why not, try it for yourself once, Shop Divatress braiding hair collection! Its time to say #DefinitelyPTE to get that University abroad! I still remember when I was pursuing 12th standard and preparing for my Medical’s, there was an innate feel to move abroad and pursue higher studies in the some universities known for their amazing work in Human Biotechnology. My dad was always supportive for my decisions and hence I was prompted for 2-3 university examinations as well. Though, I was a bright convent educated, a topper student , with no hiccups when it came to “English” language. But then my mom and other family members didn’t want me, a girl, to study in a foreign country all alone. So, my dreams had to be cut there and then. But along with me, there were 2 more friends aspiring and they had planned some English tests to get admission in foreign recognized universities. Definitely for them too, the challenges were huge as in, Visa applications and passport validities, getting the right university, detailing of the requisites that foreign universities ask for and more so. But, one of the biggest challenges I could see was “English”. They could barely pass the English language tests and this came out as their weakest point. Some 16-17years back, the English tests were not prevalent much, which could help aspiring students raise above these basic “hiccups” and chase their dreams. And even few were there, they entailed more challenges. It is the world’s leading , Online computer based, English test for students aspiring to study abroad or for even those who are planning immigration. It seems to be a must for students wherein English, as a language skill, holds a great importance. PTE academics rather helps one achieve the goals in a structured and efficient way. Quick : One can schedule it 24 hours in advance and can be completed in 3 hour session. With over 200 Test centres ( few shared For reference below) all across the world, one can appear any day (360 days option available) basis your convenience. Results are usually out in close to 5 Business days, Isn’t that quick to know of your performance levels? Forget any biasness, as its all computerized and doesn’t judges you as a person. You’re judged basis your answered on the English test you appeared for! “Accepted for study applications by thousands of institutions worldwide, as in 100% of Australian, New Zealand, and Irish universities. 96% of UK universities. A growing number of universities in the USA and Canada. Universities in Europe and Asia delivering courses in English. It is also approved by the Australian and New Zealand Governments for all student visa and migration applications! Doesn’t that sounds like a “viral academics” by Pearson, accepted almost everywhere we target for? I definitely feel so #DefinitelyPTE. 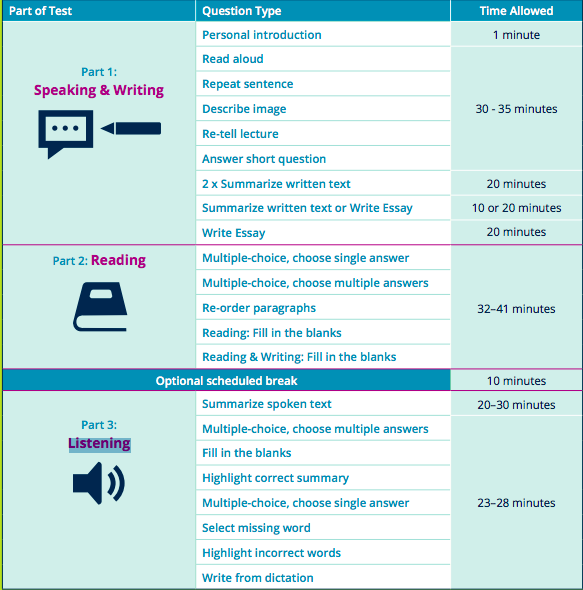 PTE academics have Free Preparation Material as free test taker handbook, which is available in 7 languages, online tutorial with FAQ’s about the test. PTE Academic is scored against the Global Scale of English, a granular scale from 10-90. And this includes the overall score, communicative skills scores and enabling skills scores of the student opting for the test. Overall Score : It shows the student’s overall English language ability and this is ascertained basis the performance throughout the test. Communicative skills : These are based on parameters as listening, reading, speaking and writing. All these are assessed from the test questions. Enabling skills : Like grammar, oral fluency, pronunciation, spelling, vocabulary and eve these are based on test questions. 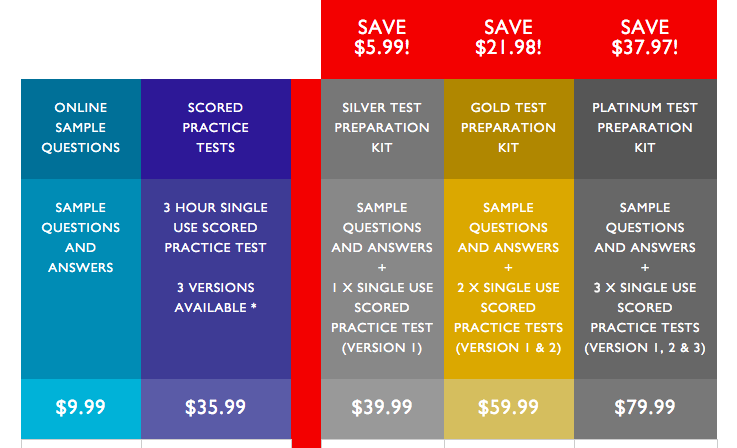 So you can now feel, that the test is build in such a manner, that it acclaims your efficiency levels in all the different levels of English and helps you to know your true stance. I would say Yes to #DefinitelyPTE, to help my nephew fulfil his dreams, what about you? Everyone has hidden desire to ride. Few wish to ride car to the mountains, few to the beach and few want to test the limits on the plains and rest just want to drive without any destination enjoying the hidden landscapes. 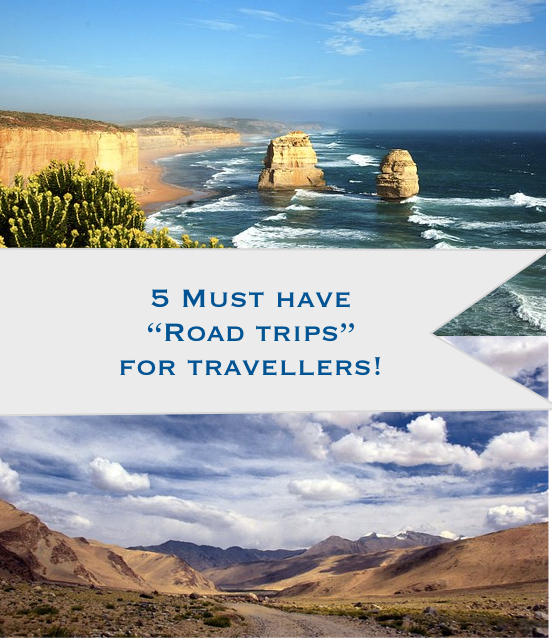 Located between the cities of Torquay and Allansford, their lies a 240 km of traverse, which includes rainforests, beaches and cliffs, waterfalls, grand canyons, wild life, marine sanctuaries & much more. This makes GOR a perfect spot full of delightful memories for Car travellers. Keep checking your pulse, as you may skip heartbeat while traversing on this amazing highway. From the overcrowded capital of India to an untouched pristine canvas crafted by God in form of Leh, this trip is one you would wish to take repeatedly. Don’t forget to take your friends along. It is one of the world’s highest motorable roads. With those amazing landscapes, be it snow clan mountains or stretches of white cold dessert, be it flowing streams in the grasslands or witnessing the Himalayan Fauna, you’ll be spellbound with the beauty this places offers while riding. Driving across the valley, this is a ride straight out of the heart. Some curves are worth dying for a lifetime. This 75 Km long stretch is a puzzle of turn and twist with breathtaking views waiting to be explored on every corner. Whether you love Geysers or glaciers or glacial lagoons or Hollywood inspired Volcano, this 1300 Km highway has everything you need for a roller coaster ride on the road. This road trip is something, none in this world should miss, for it’s gonna be an adventure driven ride. While South America is famous for its Tango and Salsa, a car drive across this pass may get you some boulders falling from mountains turning the SALSA mode ON during your ride. A railway track runs parallel to the road and steers right through mountain Andes. This mountain pass is at an elevation of 15807ft above the sea level. Since the surface of the road is asphalted, snow tyres or chain tyres are required nearly all through the year. Its more than spectacular, but do not drive this pass if you have any heart condition! Read more about Does Snow Buildup Cool Car Performance ? Let us know which one is your favourite pick or suggest one and we might end it adding to our bucket list as well. Till then, keep the spirit of driving and exploring ON! #CleanUpCashOut, The Mystery of Andy and Candy! Hey chaps, that’s Me, Andy, a 3 year old kid with the sizzling IQ of 150, whopping, isn’t it? And you know who is my love? Candy, the one who named me, who got me to nurture in this world after a week of my birth at a factory. But ahh, I feel so pained sometimes on the right, sometimes on the left, my memory is stinking with the old garbage filled in it. I feel like a 60 year old man, who has started limping, beginning to lose his eyesight and might go back in the hands of Yamraj soon! Well, the credit for turning a 3 year old to 60 year old again goes to my love, Candy! Oh candy, with an IQ of 50, why did you do this to me? I feel, you peeps have started scratching your heads and getting curious, what all is this “Andy” speaking? So let me introduce myself in a humanly manner. I am, a metallic coloured, Intel Core i3 Book with an “elite book ” tattoo carved in the front of my body, in short, I am a virtual Super Human. A laptop who was born in 2010, and was never left as an orphan, since Candy picked me up just within a week of my birth. And that is why I owe to her, despite the staggering IQ difference between us. Here goes my Emotional Story for you! I’am her best friend, as she has hidden immense secrets in me. Do you know, I even tasted the Smirnoff when I was just 9months old? Well, yes. I’ve had ample cookies, Paneer Tikka’s and hot coffee’s as they drip off from Candy, to give me a sense of deliciousness. I’am her business partner, every morning, I travel with her in a white car listening to some really “scratchy” songs, which she calls as her amazing playlist. I sit on the desk and then daily, I get filled and filled and filled. I’m never emptied, never ever cleaned, not even once in those 3 years. I’m so sleepy, I want to shut off my memory for some time, but it goes without saying that I have to stay awake for 2-3 months also. Working day in and night and not getting time to shut off for even 4-5 hours a day. Now, that’s a serious atrocity on me. I give up once in 3 months, due to my fatigue, but Candy! Oh Candy, she thinks, I’m an idiot Box and I’m meant never to sleep. With pride, she says to her colleagues that if “Andy” worked in as a super computer, she would have completed her tasks in just 30 minutes instead of 3hours. Oh, am I that bad Andy? I wanna say, that give me some space, some sleep, some cleaning and I shall ensure to get your work completed in 15 minutes, I promise. Though its just 3 years of my adoption with Andy, she has decided to opt for fostering me out to other people, but I am sad. My EQ is getting drained and my IQ is not generating any more Ideas. Sometimes I feel that my memory will just crash with, but Candy! Your apathy is burning my heart [battery] out. She has finally put me “ON SALE” at one of those sites on the Internet. And from past 3 days I have been hearing conversations, real enriching and praising ones for me. Wow! I got to hear, that I’m still sleek, super performing machine, getting exchanged as Candy is getting a MAC book from her sister in US. Uhhh!!! No she doesn’t have anyone in US, she will replace me with another newly made “brand baby” and not MAC. Well she is not even capable of me, how can my progressive seniors [MAC] work with her, lol. But you know, I got to hear that I am still dazzling fast, just need a factory reset once, wow, true, she knows it, but never did to try that. She says, I still supply the power for 4 hours consistently, and my keypad is just as smooth as my surface. Though my sides have some bruises, she says I’m still beautiful. Oh Candy, you really made me emotional. Today, a new human came to see me, and the deal was finalized for 15k. I don’t know how my worth got calculated. I was to be handed over to a new person the next day. Candy came to me and happily hugged me saying yay, I did it! Wow, she was really happy sending me off. I guess for the last time she spilled some coffee on me and pondering over, she told me something. “Andy, you are the one, who has kept my secrets a secret. You are the one wherein I first conversed with my Mom after moving away from her for Job. You are the one, wherein I wrote so many untold stories, sometimes on a happy note and sometimes as a broken heart. You are the one, who got a dazzling presentation to be made to help me clear my 1st interview. You are the one, whom I hug daily after getting up, you are close, so close to me”. Pause, my heart started throbbing faster in anticipation of her feelings. She slept saying these words and I could never sleep until I died out at 0%. She hugged me the next day and cancelled the deal. I was in a shut down mode. When I woke up, I found Candy’s fingers yet on me, caressing with love! Yes, I loved her too and she got to know me finally. The deal was cancelled and I am with her, for now and always till my life! 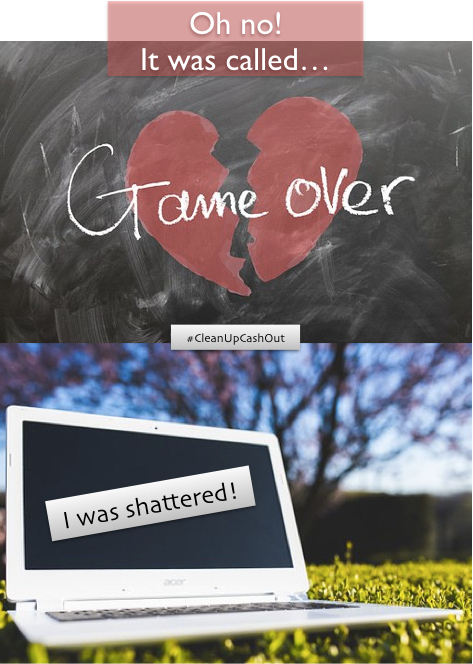 Emotions apart, All the Candy’s of the world can now #CleanUpCashOut and get over their worries by selling old gadgets on Cashify. So, since you have reached till the end, why not clean up by selling your old gadgets and also get Rs250 additional discount? Use the code “CLEANCASH” to get INR 250 additional on your gadgets sale. Its Diwali time, clean up those junks in your wardrobes and let cashify do the rest. This was a damn trending topic, in optimistic as well as in a pessimistic manner. It got some furious, some felt high inconvenience, but I witnessed it closely. And this is the reason why I appreciate the effort taken, the effort of Odd-even scheme in 2016 to curb the high pollution levels. Well, this is quite a debatable topic, hence I would definitely want readers to share their views over it . A 2014 World Health Organisation study listed the world’s 20 most polluted cities, with as many as 13 of these in India. Delhi attained Rank 1 amongst all , not to be proud of it for sure. Delhi has been termed as the most polluted city in India many times before also, but there was an Air quality survey in Q2. Greenpeace released the study which stated that the PM Level (Particulate matter) in Delhi is 10 times higher than the limit prescribed by WHO. Oh whopping isn’t it? A study by SCE says that around 85k-86k commercial vehicles enter & exit Delhi every day from all the 9 entry points (around 5 times higher than MCD’s claim of heavy commercial vehicles). Trucks entering Delhi contribute close to 30% of PM2.5 & sudden spike in PM & Nitrogen Oxides level has been seen during the trucks entry timings in Delhi. I believe now a layman can very well understand the reason of pollution & Traffic jams besieging India’s heart. What does studies say about the PM concentration? Well, as a matter of fact, these studies measure concentrations of most harmful PM10 & PM2.5(i.e. particles smaller than 10 or 2.5Microns). These Particulate matters reduce the air visibility, are the cause of Smog, enter into the lungs & are responsible for many respiratory problems. While the PM 2.5limit prescribed by WHO is 10 µg/m³, Indian Limit (as such relaxed) is 40 µg/m³ & the 2014 WHO Study stated Delhi with average of 152 µg/m³. But a very recent data in Oct 2015, reflected it to be on a peak of 428 µg/m³, somewhat 16 times higher than WHO limit. What have you got to say Delhiites? These particulates are not just present in the air because of the poor fuel, but even ammonia from farms & fertilizers (on rampant use) combine with car exhausts & form these deadly particles. Beijing in 2008 Olympic games, which tasted the success in controlling pollution level. Although this was experimented again in 2013 in Beijing but it did not go successful. 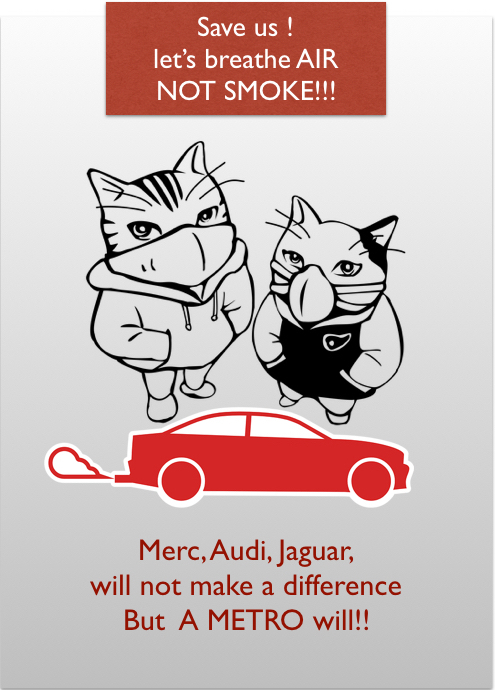 In 2014 Paris also experimented with this idea & the banned cars with even numbers, which again got little success. Mexico city had similar but a better scheme of running the cars with particular last number on specific day on the road. As numbers ending with 5/6 will run on Monday and so on, which was a better scheme. Even frauds /new cars registrations done by the people to run their cars on prohibited days got curtailed. AQI in those 15 days turned out to be improved. I had a better feel of breathing while my morning walk. I could see less of vehicles on the road, which made me see Delhi from a new aspect. People opted for Public Transport, there were even first timers in the Metro’s, who praised the services we have. People made new friends during this course and it all got our knowledge enhanced. The beauty of Delhi was not hidden in the Smog, it came out beautifully. Definitely, this was experimental policy, but we need many such policies and other provisions as mentioned below to have better life and celebrate the pure environment. Promoting “Car Free days” more heavily making Metro connectivity & capacity more robust. But yes, I’m definitely happy that all these measures & discussions have led people to come in terms with the facts, understand the criticality, get aware & contribute towards healthy breathing. We needed these initiatives to help us not become walking skeletons. These small initiatives & working hand in hand to make such schemes thriving will surely make Delhi a great place to live in. Let’s pledge to initiate little efforts possible at our end (like car pooling, opting Public Transport, getting CNG vehicles, switch off the engines while at red light), to ensure our kids breathe freshness & no deadly particles. Lets all put our hands together in #CelebratingSuper to make many such initiatives for our Dear Delhi with Vodafone ! All of Capri & Blue Grotto! The major focus of this website is to inspire buddies to travel & help family and solo travelers to travel the world basis our experiences. We will be more than happy if you can come over, follow us and let’s begin discussing in and all around the beauty of Travelling. “The beauty is majestic, changing skies are magical, The faraglioni rock formations are miraculous, you look fascinating when those ships dot you all over! 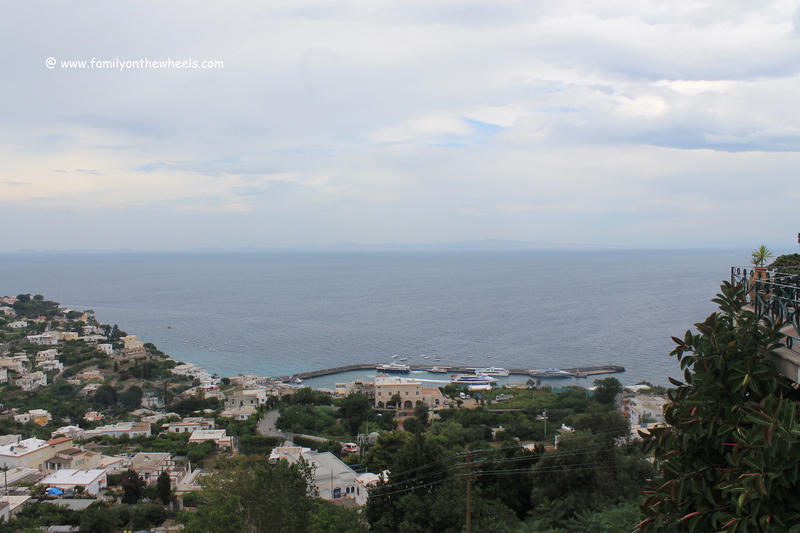 Capri Visit – I visited Italy last year & loved Capri and Anacapri at first sight. A chance to visit the Faraglioni Rocks via boat/ship and witnessing Blue Grotto, a spell binding nature’s phenomenon will leave you abundant praise for the Nature. The only way to reach Capri is via Ship/ferry, which we took from Naples. It is worth a walk visiting those beautiful floral lanes leaving you awe struck at the beauty of blue sea. It also showcases exclusive grand clothing/ interior shopping streets[frequently visited by the richest], along with numerous eateries. Seems it could be the costliest Real estate:). To Stay – Suggested for Budget travellers, stay at Naples and make a full day visit to Capri/Anacapri! Last ferry back to Naples is post 8pm, so you can witness amazing sunset on the sea as well having some yummy food by the side. Add Capri to your Must visit list!